In the last week I went to Sorrento, Italy, to attend the annual European rheology conference this year. 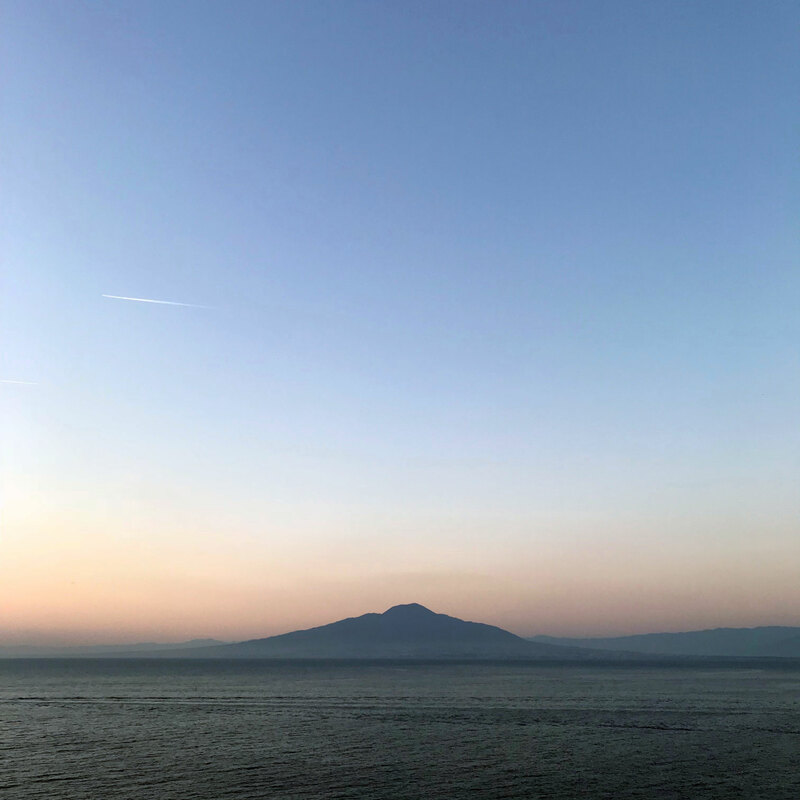 The photo above is Mt Vesuvio from Sorrento. Because the European meeting is usually held in April, basically it is very difficult for me to join. April is beginning of new fiscal year. In the laboratories as well as in the administrative sector, everything is reorganized and restarted. Due to such a situation, my previous opportunity was more than 10 years back, to the event held in Naples. Actually, the reason of attendance this time is that, just the same with the reason for the previous attendance, the event was organized by the professors in the University of Naples. I have been being in very close and nice collaboration with the Napolitan professors since I stayed there in 1999. Nevertheless, I found that the conference is more than worth joining. Even though we have web databases, showcasing events are quite useful for perception of the international network. As we cannot get to know all the important publications by ourselves, attending the conference, in which the program is organized by world-leading people, helps us a lot. Indeed, there were many interesting talks which are related to the projects being made in our group. The other reason is showcasing ourselves. I told to several great friends, and in particular, this time I was one of the organizers of the polymer rheology session, my network was extended a bit. Because I prefer to present the collaboration with Italian professors, almost every time in Europe I have made a talk co-authored by them. But presentations for the other topics of our group are also necessary. (I have found that some people just misunderstand that I am not independent PI.) I better attempt to submit at least one talk to the conference, as last year I let Dr Ankita go to the European conference, as well as to the US event. I appreciate the consideration from the headquarters of the conference for giving me the opportunity to work as the organizer of important polymer rheology session with Prof Read and Prof Moreno, who closely and effectively worked with me.